Heavy work activities are often used to improve postural control and upper body stability. 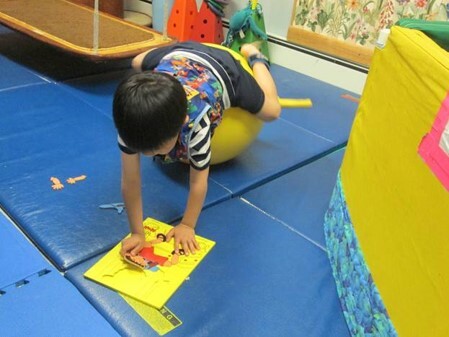 The heavy work helps to modulate attention and to prepare the upper body to support follow up fine motor skills. However, physioball walk outs and other resistive activities commonly used for heavy work can easily become routine, resulting in decreased attention to task and postural control. We found a discounted superheroes action kit in a local book store, and scripted activities for each superhero onto a tablet. We incorporated the play-mat and figures, and wrote simple action sentences for the child to read. Place Superman next to the street light. 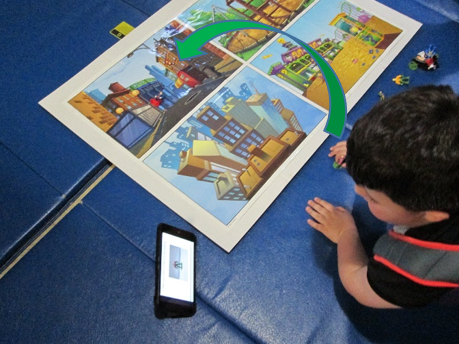 The child then had to look at each of the four scenes shown on the play mat and use visual discrimination skills to determine which scene the script was referring to. He then had to use visual association skills to locate the item mentioned and place the superhero accordingly. 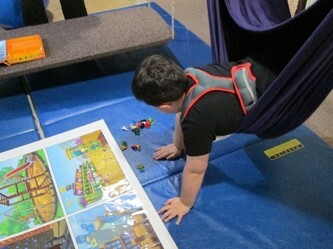 While the visual perceptual components of the task took front and center stage from the child’s point of view, we were actually looking for his body awareness and postural control to show outcomes of the heavy work involved. 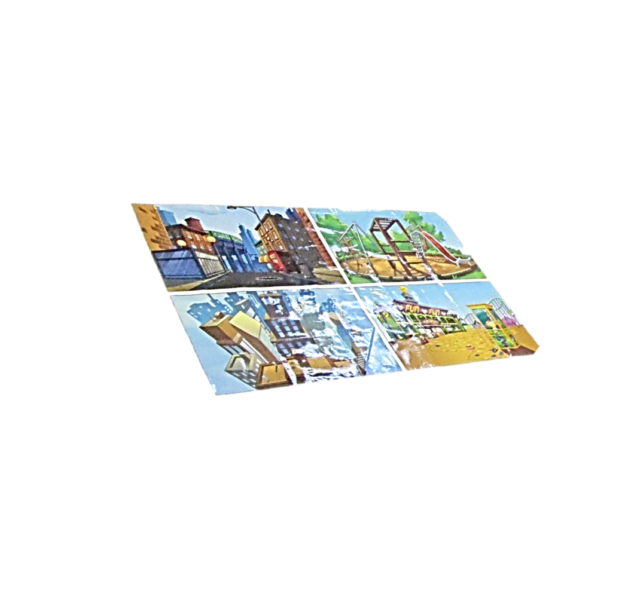 We were pleased to have accomplished our objectives.